We have the brand spoiler for the January 2019 Pearlesque Box! 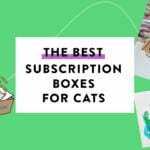 (Box is $39.95 a month; use coupon code PEARL5 to save $5 off your first month). What do you think of the January Pearlesque Box brand spoiler? Check out our Pearlesque Box reviews to learn more about this natural beauty subscription box! That serum is definitely looking promising .